Crescent Homes recently publicized third quarter contributions to new nonprofits as part of its GIVE program. It separately listed outlets to receive fourth quarter donations. In a novel feature, residents in the builder's neighborhoods are permitted to choose an organization to receive funds. "Beyond the monetary donations, it is the relationships established between home buyers and local nonprofits that makes the GIVE program so successful. By opening the door between a Crescent Homes customer and a local charity, we create a connection between the two that we hope carries on long after the home sale," says Ted Terry, the company owner and chief executive. 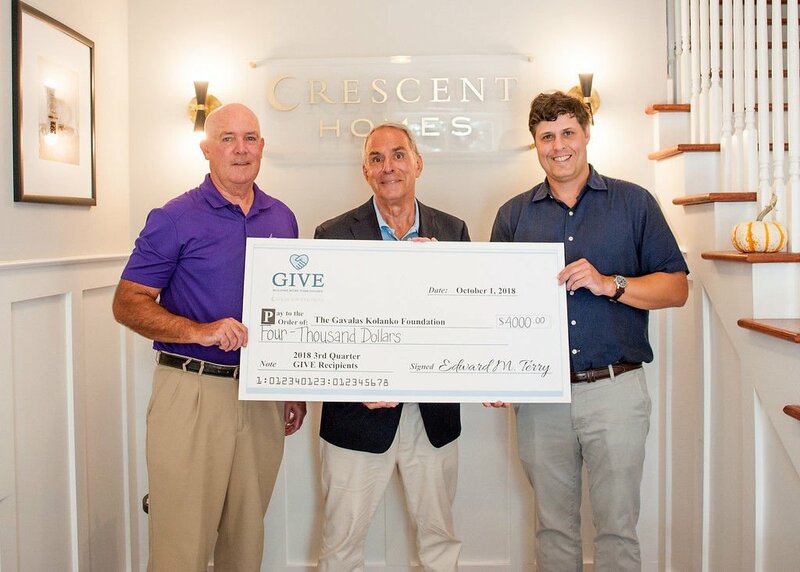 According to Crescent Homes, the latest disbursement ups to $127,500 the total amount that the private home builder has given to 30 Charleston nonprofits since launching GIVE in spring 2017. As part of the program, the builder chooses five local charities to receive $250 donations for every home sold. Terry launched the effort to back the local community while "drawing attention to worthy charities," Crescent Homes notes. Home buyers can select a group to receive a donation in their name, "bringing awareness to each cause," the builder points out. ● $4,250 to Charleston Area Therapeutic Riding, in which people with disabilities receive therapy riding horses. ● $2,000 to Charleston Moves, which promotes cycling and health-conscious mobility. ● $3,000 to Fields to Families, in which farm staples are provided to those in need. ● $4,000 to Gavalas Kolanko Foundation, a program to educate disabled youth. ● $2,000 to We Are Family, which offers assistance to gay and lesbian families. "By choosing a wide range of nonprofits with varying focuses, we are able to spread our support throughout the community, touching on every cause, from the environment to our local children and seniors," Terry says. The company owner says he founded Crescent Homes "with the intention to celebrate and enhance the Lowcountry through classic homes and welcoming neighborhoods." The charitable program "extends the mission beyond simply building homes by supporting worthy causes who also aim to improve the Charleston area," Terry says. Charleston area organizations that will tap donations for October through December are: For the Exceptional, which designs fun and enriching events for special needs young adults such as a prom, while granting information and support to parents; Gibbon Sanctuary, maintained by the International Primate Protection League to provide a safe haven in Summerville for smaller apes rescued from captivity; Going Places, geared to present lower income elementary school students new bikes, helmets and locks; I Heart Hungry Kids, started by a seven-year-old to work with volunteer youth to serve healthy meals to local children; and Senior Ride Charleston, in which volunteers and caretakers drive seniors on errands and around town so they can stay independent. Crescent Homes is accepting nonprofit recommendations for 2019. Contact give@crescenthomes.net. Terry, a fifth generation home builder, started Crescent Homes with the goal of designing houses and communities that "evoke the charm of the Lowcountry," the company says. Call 843-466-5000 or visit www.crescenthomes.net.